Lions, considered the king of the jungle, are formidable hunters and the largest big cat in Africa. Lions are the only large cats that live and hunt in groups (called prides). Sadly, wild lion populations face a risk of extinction from numerous threats including habitat loss due to encroachment by humans. With it still deemed legal in some countries to shoot lions for 'sport', these big cats remain a target for trophy hunters. 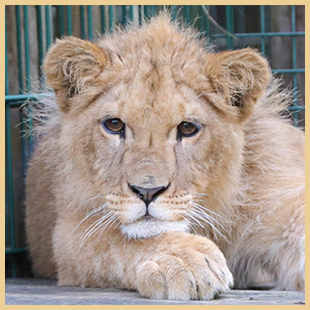 Lions also suffer in captivity with Born Free's big cat santuaries now home to numerous lions rescued from terrible conditions. 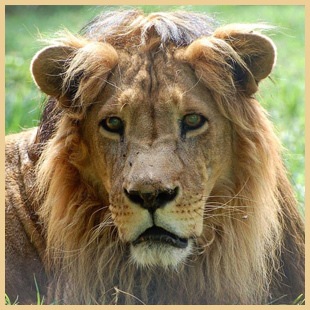 Funds from your adoption will help care for rescued lions at our big cat santuaries in Africa and also support conservation efforts to protect wild lion populations. 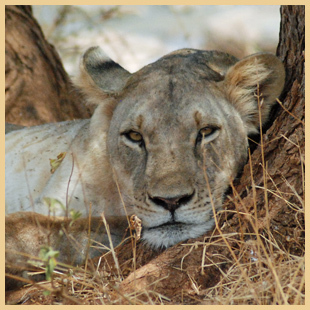 You can make a difference to a wild animal by adopting one of our lions below. King was rescued from an apartment in Paris where he was being kept illegally as an ‘exotic pet’ in a small, dirty cage. He now lives at our big cat sanctuary in South Africa. Emaciated and lonely, Dolo was kept on a one metre chain in a wooden shack, his mane had been rubbed away. Today Dolo shares a bush enclosure with Safia the lioness. Where it all began for Born Free. This pride still resides in Meru National Park today. With your support we can protect them for future generations.